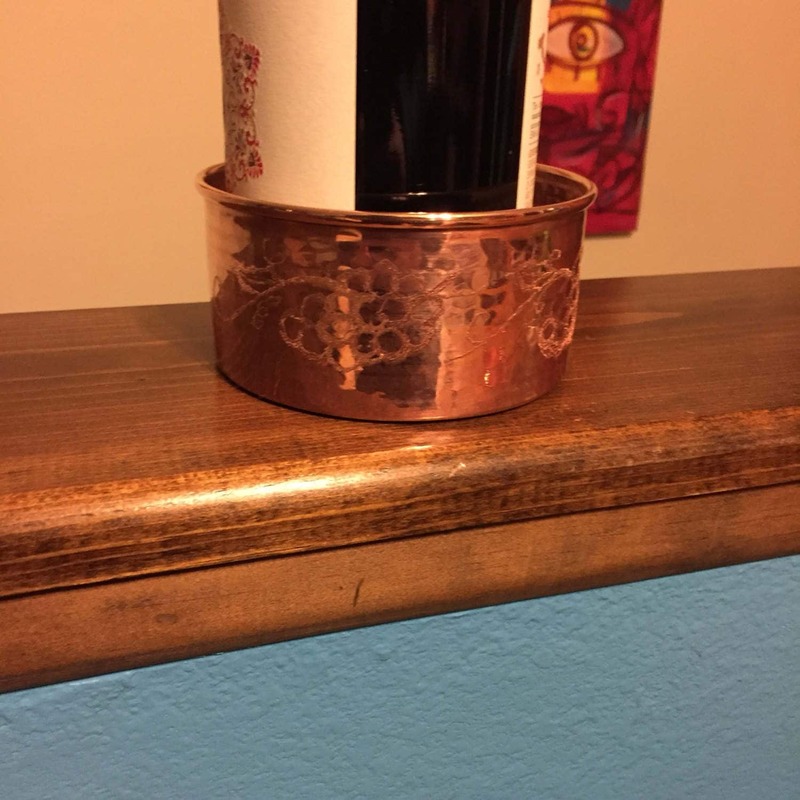 Hammered Copper wine bottle coaster with grapevine engraving (4" diameter x 2" h). 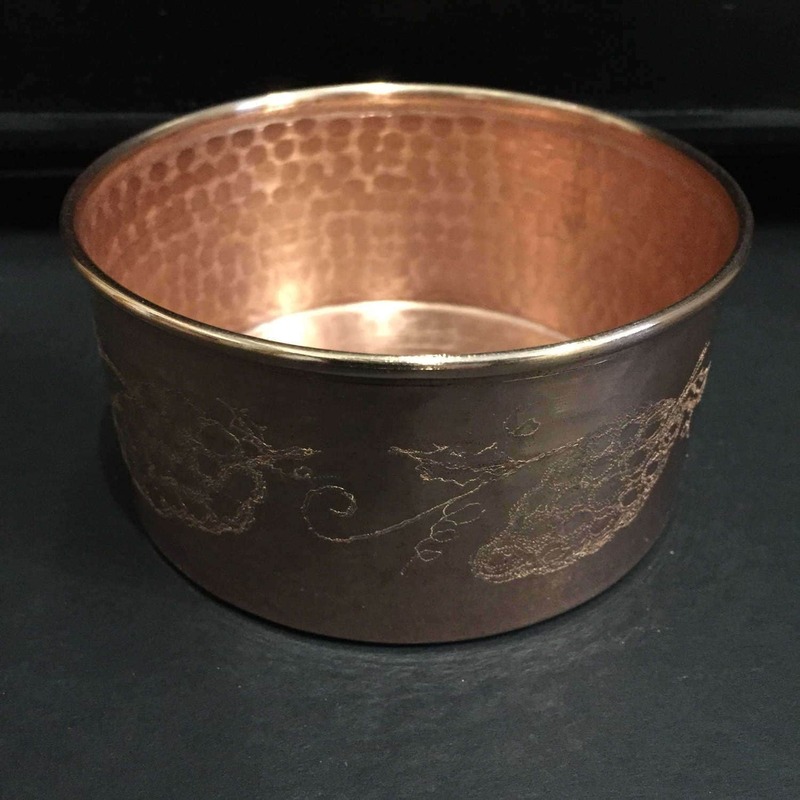 Beautifully handcrafted pure copper with traditional hammering techniques. 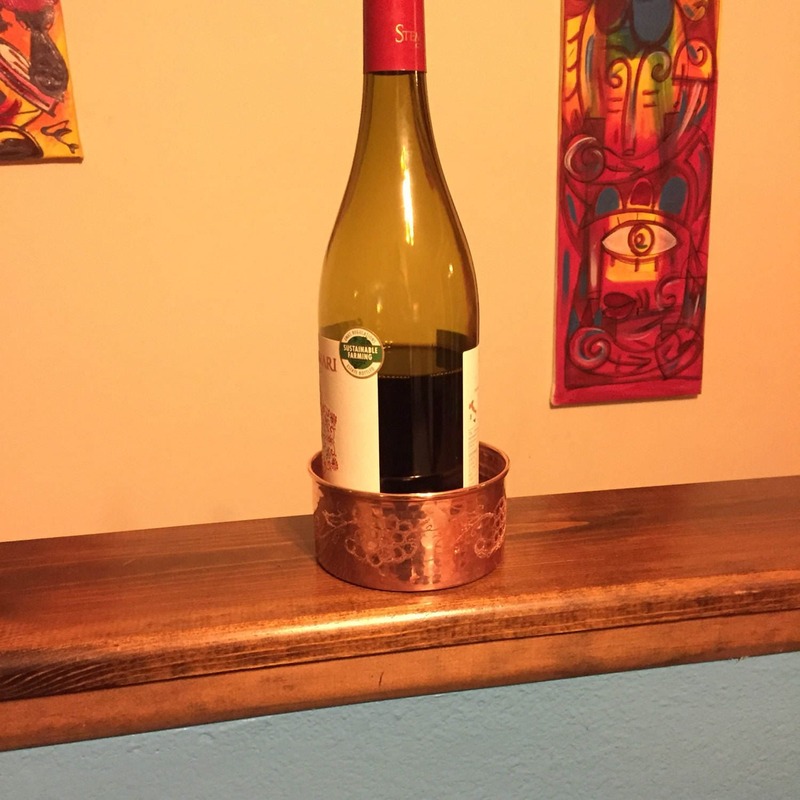 Perfect to present your favorite bottle of wine at your next dinner party. 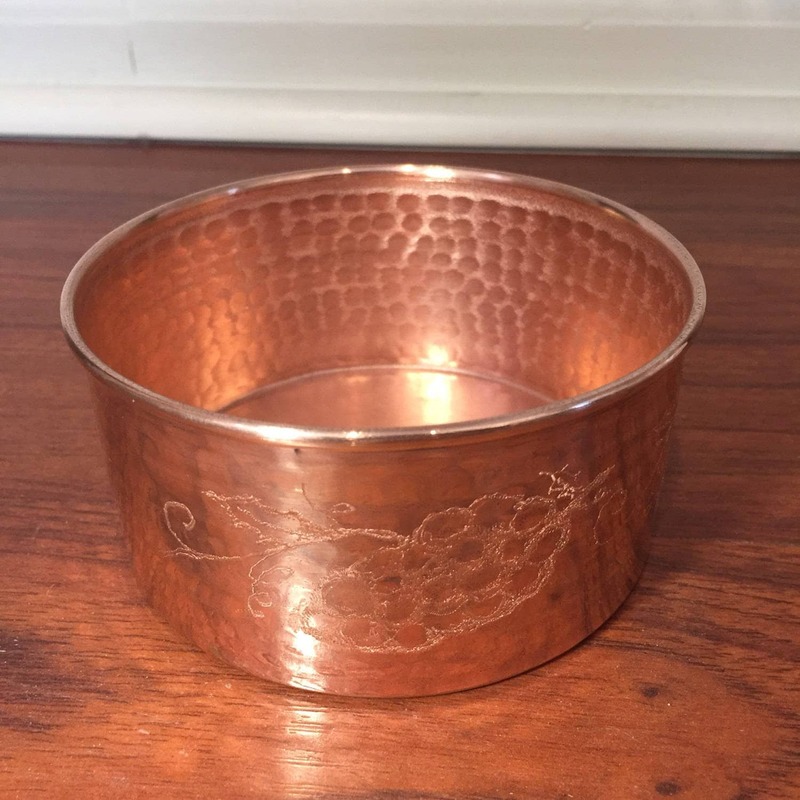 This copper coaster is durable and will protect your surfaces from drips & condensation. Hand hammered classic style with no seams. 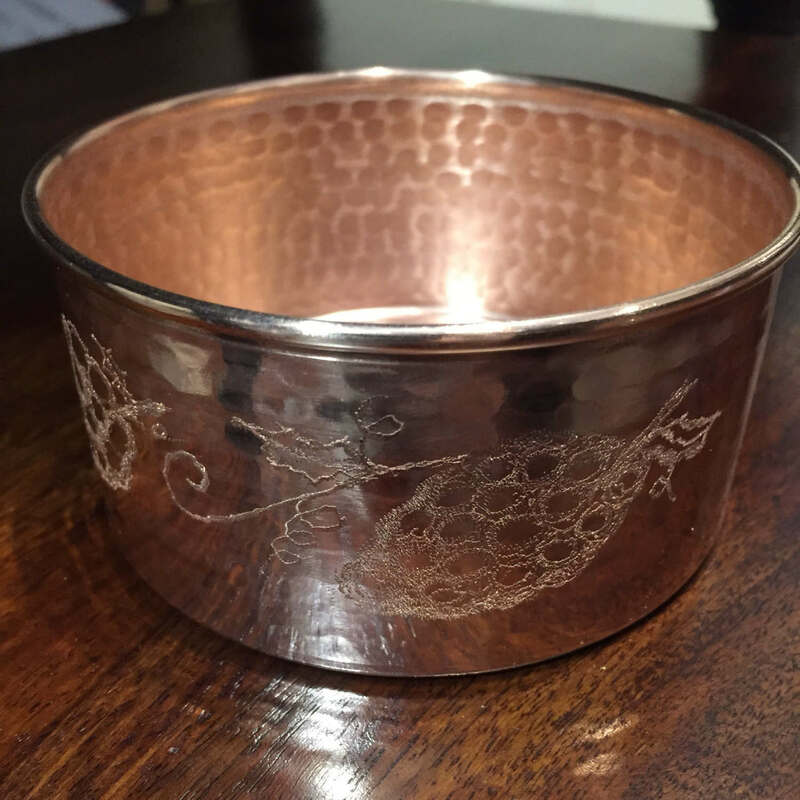 We offer custom hand engraving for your name or company logo.